Foreign Direct Investment (FDI) is the form of investment in which an organisation or a company or an individual based in one country directly controls the ownership of a business in some other country. Net FDI inflow is the total investment received by a country and net FDI outflow is the amount of money invested by the entities of a country to another countries. 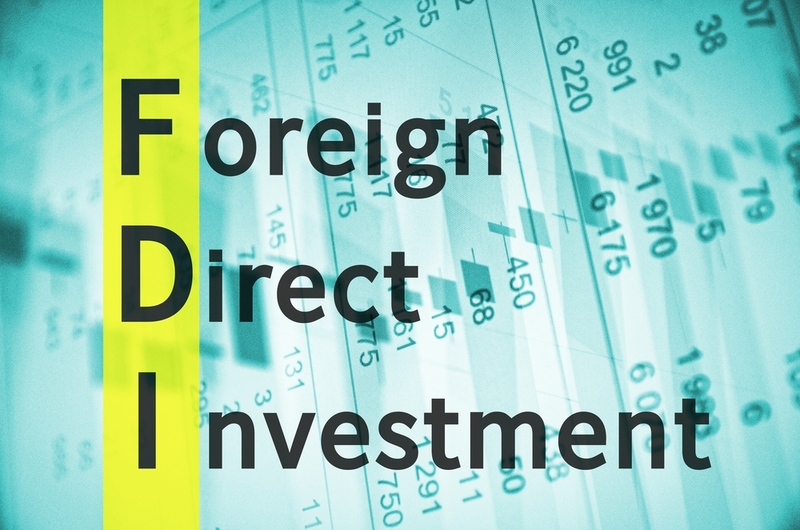 FDI inflow can be a major monetary source for economic development of a developing country like India. In this article, we will have a brief look at FDI inflow in India. FDI was introduced in India in 1991 by then finance minister Manmohan Singh under Foreign Exchange Management Act (FEMA). India was ranking 15th in the world in 2013 in terms of FDI inflow and it rose up to 9th position in 2014. According to the Financial Times, in 2015 India overtook China and the US as the top destination for the Foreign Direct Investment. India received an FDI of US$ 63 billion in 2015. As of April 2015, FDI inflow in India increased by 48% since the launch of 'Make in India' initiative. During 2014–15, India received most of its FDI from Mauritius, Singapore, Netherlands, Japan and USA. FDI in India grew by 8.67% in 2016-17, 29% in 2015-16, 27% in 2014-15, and 8% in 2013-14. The year 2017-18 has witnessed a 5 year low FDI growth of 3% at US$ 44.85 billion. Click here to view the official FDI fact sheet by the Department of Industrial Policy and Promotion (as of 29 June 2018). Click here to view the official FDI-Make in India policy. How does India get its FDI? The entry of FDI into India is regulated through two routes –automatic route and approval route. The automatic route is aimed for those sectors and levels of investment that are less restricted. Foreign Direct Investment beyond sectoral caps requires prior approval from the government. This comes under approval route. Before May 24, 2017, Foreign Investment Promotion Board (FIPB) was the responsible agency to oversee the approval route. On 24 May 2017, FIPB was scrapped by the Union Government. Nowadays an application has to be made through Foreign Investment Facilitation Portal, which will facilitate single window clearance of FDI application under Approval Route. The application will be forwarded to the respective ministries which will act on the application as per the Standard Operating Procedure(SOP). The Ministry of Commerce & Industry is responsible for issuing this SOP for processing of applications and decision of the Government under the extant FDI policy. Click here to view the list of which sector comes under automatic route and which sector comes under approval route. FDI can promote investment in key areas like infrastructure development, power generation etc. FDI can bring in more technological development. FDI can improve economic growth by increasing capital inflow and material inflow. FDI creates a lot of employment opportunities. FDI strengthens financial services of a country such as banking. FDI is necessary to maintain a proper INR-USD exchange rate. FDI can use the natural resources more efficiently.